A trio of early 19th century cast iron wall panels from a restoration project in the Midlands. 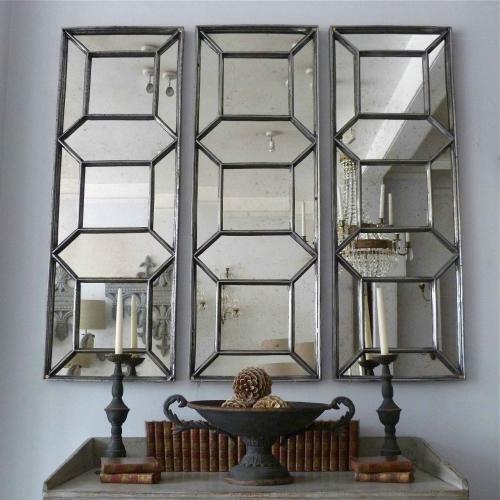 These panels have been carefully hand polished and glazed with 13 individual antiqued mirror panes. Each panel can be flush wall mounted. Available individually, as a pair or as a set of three. Aldgate Home offer a personal delivery service to any location in the UK and are able to provide a professional installation service where required. They can also provide competitive quotes for international shipping. Please contact us for further details and prices.